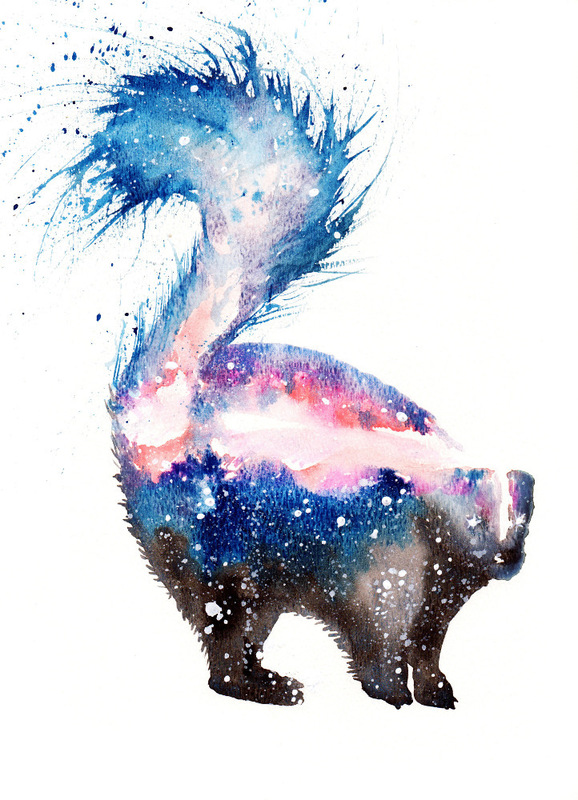 Skunk symbolizes self-respect, protection, independence, confidence, boundaries. Skunks are passive, wish to avoid conflict, and are full of loving charisma. They go through life buoyant and peaceful, not wishing to harm others. But if you threaten a skunk they will put up an impenetrable, non-aggressive boundary without an over-inflated ego. Many times it doesn’t even come to that because skunks have a strong reputation for having the courage to raise a stink about what’s right or wrong. Skunks remind us to be more confident in our interactions with others and warn us not to drive people away unnecessarily or suppress our anger. Just express your true feelings if you don’t agree with a situation or decision. Make sure you’re balancing your people-pleaser tendencies with your own self-respect. I want to hear about your Skunk experiences. What stories or dreams have you had? Please share and join in the conversation below!